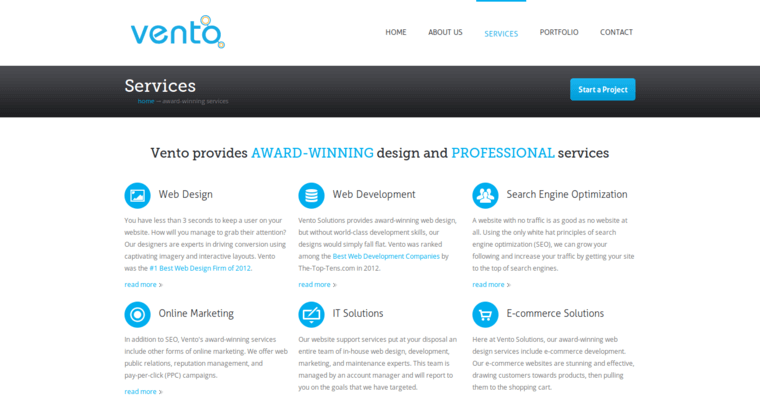 If you are looking for beautiful web design solutions, there's no better company to work with than Vento Solutions. This high-end boutique design firm specializes in providing their clients with top of the line services by using the latest technology and design techniques. Take advantage of simple yet powerful web design solutions that will attract visitors and keep them coming back to your site in the future. In addition, Vento Solutions prides themselves on providing clients with outstanding customer service through every step of the web design process. 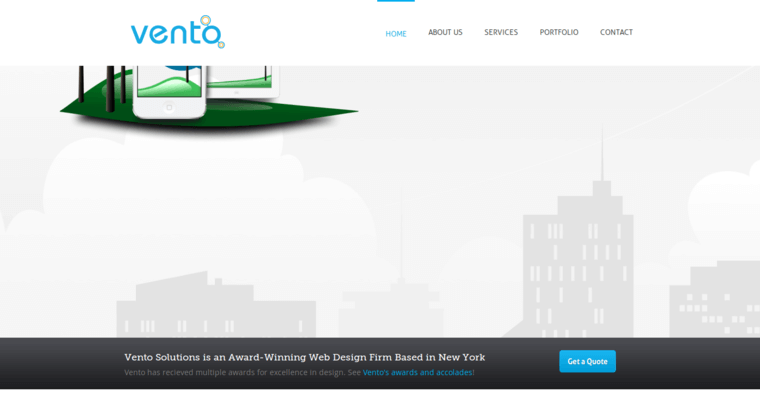 Vento Solutions web design firm is currently ranked at #10 of the Best Web Design Firms on the internet. 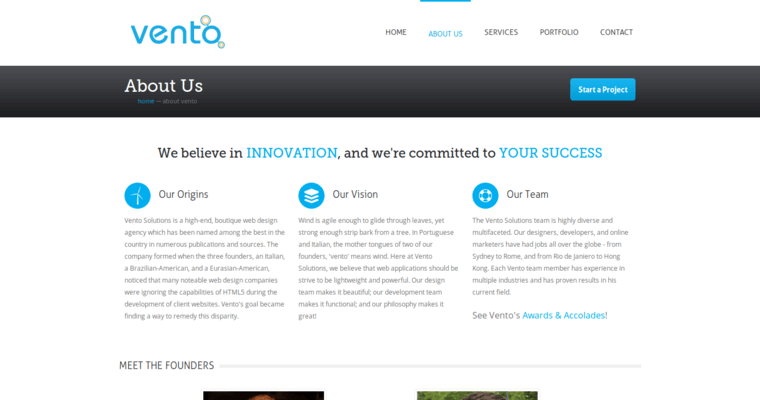 In 2012, Vento Solutions received the first place award in the 10 Best Design Best Design Firms. They have also been featured on Bloomberg Businessweek and have been highly ranked on multiple companies top web development lists. Based out of New York, New York and San Francisco, California, clients can take advantage of these web design services from all over the world.